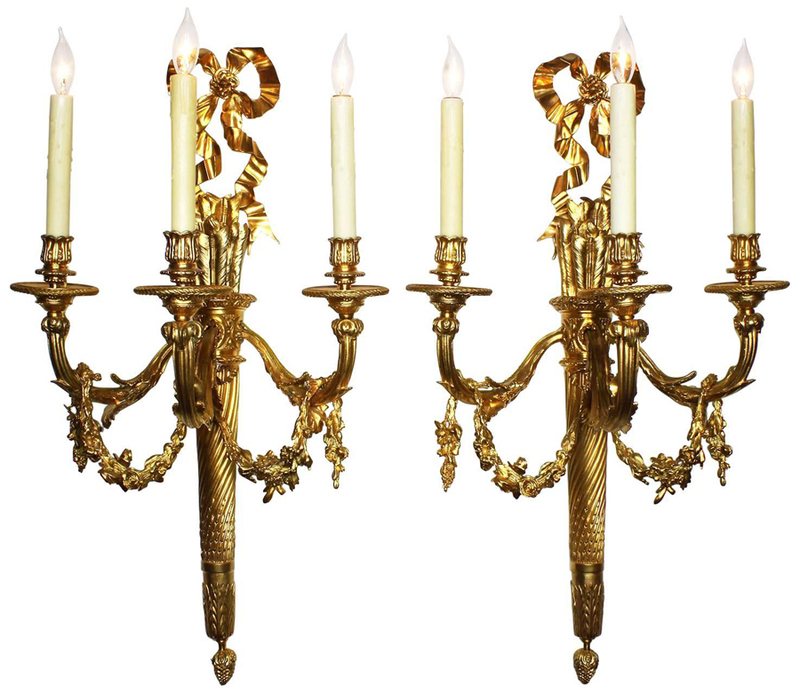 A Fine Pair of French 19th/20th Century Louis XVI Style Gilt-Bronze Three-Light Wall Sconces. 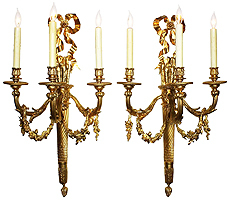 The back plate in the form of a torch with three scrolled candle arms protruding from the center frame, each arm conjoined floral wreath swags. 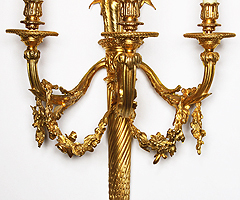 The upper back plate in the form of a tied ribbon and the slender bottom of the torch ending with an acorn finial.Circa: Paris, 1900.